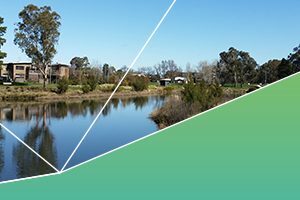 The community can now have their say on the first 11 water infrastructure projects as part of the Territory’s $80 million ACT Healthy Waterways project, a partnership between the Australian and ACT Governments. The Eleven projects that have been submitted for development approval will span across four catchments – The Lower Molonglo, West Belconnen, Lake Tuggeranong and Yarralumla Creek. The sites are located in Duffy, McKellar, Florey, Isabella Plains, Monash, Wanniassa, Fadden, Mawson and Curtin. Feedback from initial consultation indicated that the projects are well supported. Canberrans love our lakes and rivers and have a keen interest in improving water quality. They also value the recreational and educational opportunities that infrastructure like wetlands provide. The Australian Federal Government are contributing up to $76 million with co-funding from the ACT Government in placing the emphasis firmly on building more modern and efficient water infrastructure and for the construction of priority projects across the ACT. These aim to reduce the impact of urban run-off and improve downstream water quality and river health as part of the Murray-Darling Basin Plan. Construction is expected to start on the projects in mid 2017. Up to 14 additional projects will be submitted for development approval over coming months. The development approval process includes 15 working days for public notification. To view the plans online and make a comment, please visit www.planning.act.gov.au or find more information via your smart phone at the DA Finder App. We urge the Weston Creek Community to view the plans and make comment to ensure that we get the best project possible. Thanks for this. I am a home owner on Dixon Drive and just submitted something to the process. My concerns are largely around the traffic management plans for the permanent site – it wasn’t clear to me from the plans what this would be. We already have a problem with speeding cars on Dixon Drive so any increase in traffic volume to access the wetland area would be a problem. I think any permanent access should be from the Cotter Road as there are no homes on that side of the reserve. I’ve also asked about things that would affect our visual amenity – we don’t want to be looking onto a maintenance area or a car park. And of course we have concerns about disruption during the build phase – having lived through the major road works to accommodate the Molonglo area, we thought we’d seen the end of it. It’s a bit tricky for us at the moment because we are away on a posting and the house is rented, but we really want to keep informed and engaged on this so your updates are really appreciated.